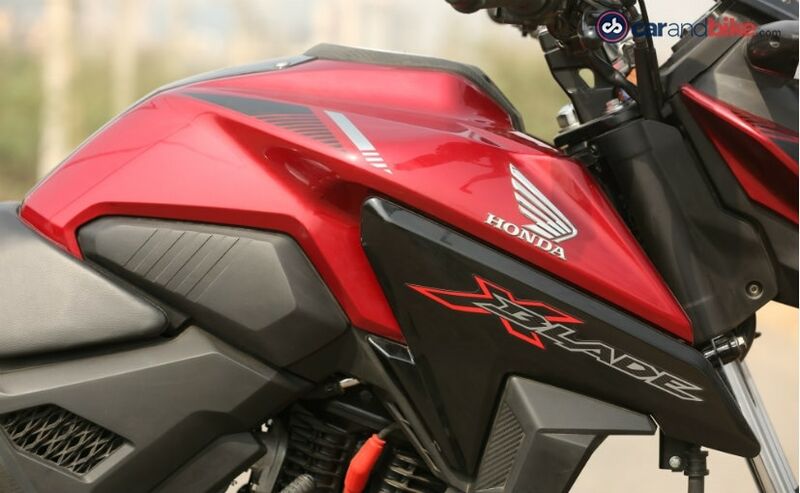 We spend some time riding the Hondas X-Blade. 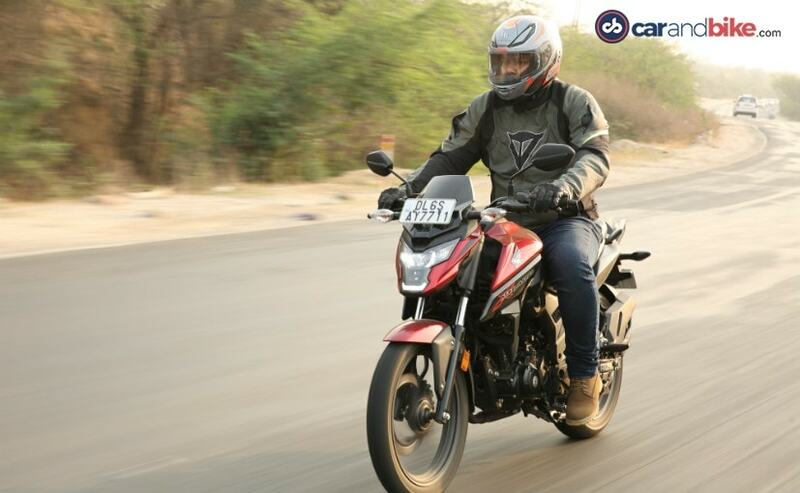 It has its own set of quirks but does it have what it takes to help Honda get a commanding share of the 160 cc segment in India? We find out. The Honda X-Blade! The name reminds me of these Beyblade toys which was a big favourite of mine while growing up. Plus, Honda always had an affinity for the word 'blade'. Yes, I am referring to the CBR1000RR which also sells as the Fireblade in some countries. But no, there is no connection here. The Honda X-Blade is a simple 160 cc commuter motorcycle while the Fireblade is a full blown sportbike with mental performance. Done with the 'blade' references, let's start with the review already. 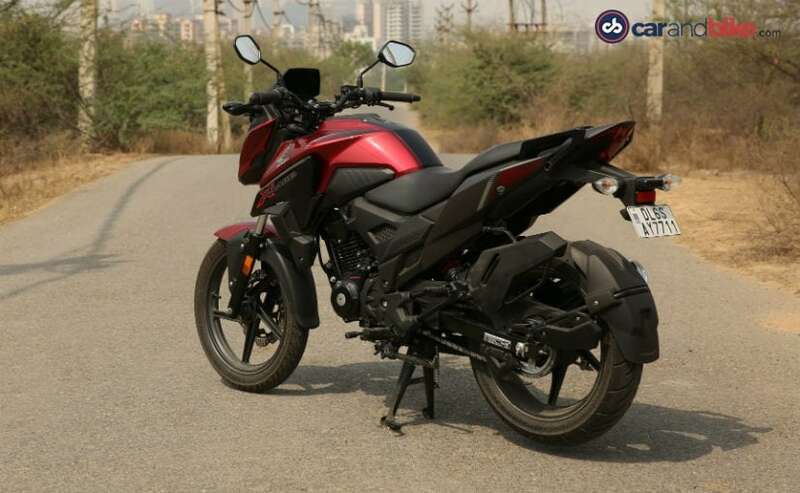 Usually, if a manufacturer has two or three models in the same segment (Honda has the Unicorn 160 and the CB Hornet 160R), there are usually a lot of shared body and cycle parts. But we are happy to say that with the exception of the cycle parts, the Honda X-Blade gets brand new body-parts. The side panels, the fuel tank, the headlamp unit and the instrument console are all different. And that is a good thing. Honda has its heart in the right direction. The design, well, it is quirky! The X-Blade definitely looks very different than any other motorcycle from the 150-160 cc segments. The crown jewel in the design, if we could call it so, will be the headlamp. Honda calls it the 'Robo-face' headlamp and we dare not disagree with them on that. It does attract attention on the road. And when a 160 cc bike does that, it's saying something! Apart from that, the chiselled fuel tank with faux carbon finish on top surrounding the fuel cap, only adds to the sporty demeanour. The fit and finish of the bike along with the materials used is better than the current crop of Honda motorcycles. How about the features? Something X-tra? To begin with, the headlamp is a full LED unit and the illumination is definitely better than regular halogen lamps. 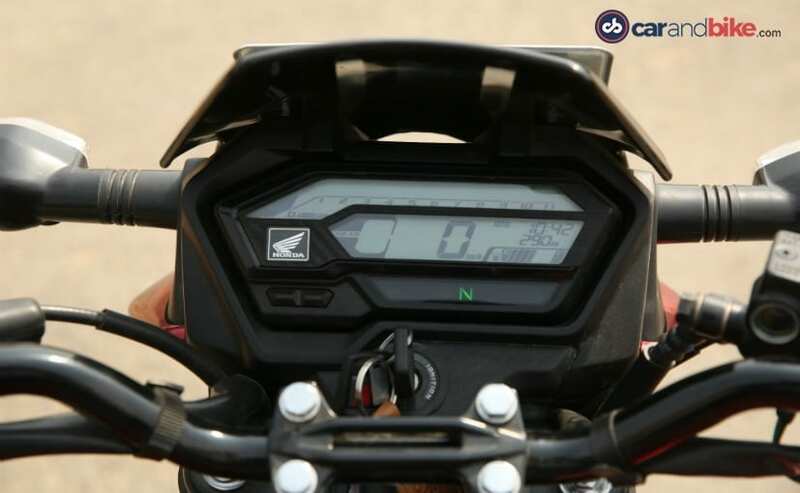 Then, there is a fully digital instrument console which houses the speedometer, odometer, the rev counter along with the fuel gauge and the gear position indicator. The T-shaped tail lamp looks quite cool and is an LED unit as well. Does the engine meet the X-pectations? 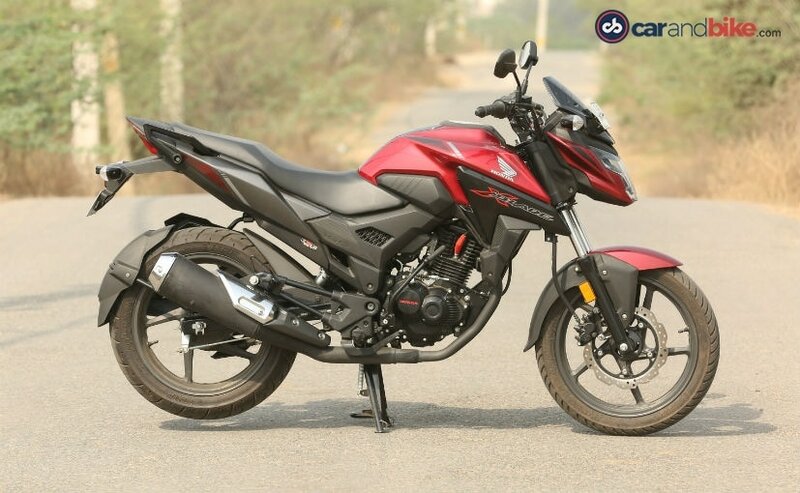 The X-Blade gets the same engine as the CB Hornet 160R, which is a 162.71 cc single-cylinder engine. The engine on the X-Blade makes 13.93 bhp at 8,500 rpm and peak torque is rated at 13.9 Nm at 6,000 rpm. In comparison, the CB Hornet 160R makes 14.9 bhp at 8,500 rpm and 14.5 Nm of torque at 6,500 rpm. This is just about 1 bhp and 0.6 Nm less than what the engine on the Hornet makes. But the point made here is the fact that the X-Blade makes almost the same amount of torque at 500 rpms less, which means accessing the torque becomes easier. We really like how the engine pulls cleanly from 4,000 rpm itself, offering great rideability in the mid-range. This is particularly helpful when riding in city traffic. 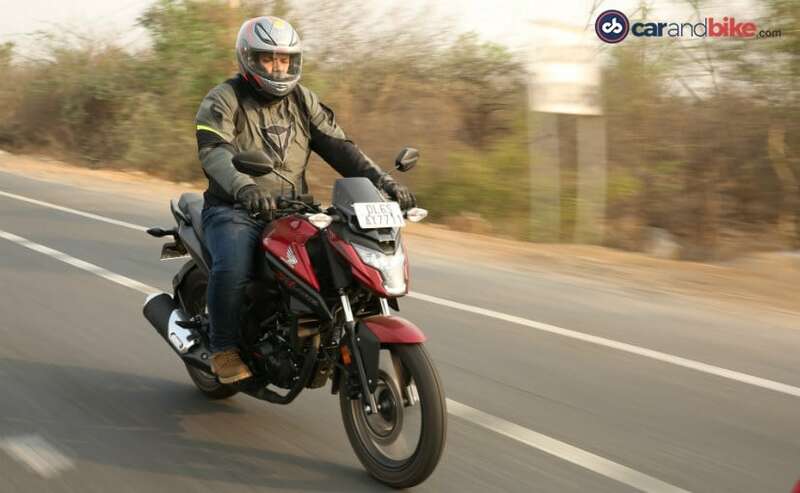 But, as the rev counter goes beyond 6,500 rpm, vibrations begin to creep in from the footpegs and the handlebars, it is not something jarring but we do miss that familiar Honda smoothness from the engine. The 5-speed gearbox is smooth too, with no hiccups although we did find false neutral twice. The engine is not the most potent in its segment but it sure does the job well with regards to its purpose, which is commuting. Any speed between 50 kmph and 90 kmph and the X-Blade is in a happy spot. Did we mention that the X-Blade sounds really nice once you start wringing the throttle and the needle on the rev counter goes beyond 6,000 rpm? And the ride and handling? It is a flickable motorcycle alright. Filtering through traffic is done easily enough and while the bike is not exactly a corner-carver, it remains neutral and gets the job done. With a kerb weight of 140kg, it is easy for the rider to muscle the bike through the narrowest of gaps on a traffic laden road and that is where the X-Blade kind of shines, in the urban chaos. And it rides pretty decent too. The suspension is just about stiff to keep things even. The bike gets 33 mm telescopic forks up front and a monoshock (adjustable for pre-load) at the rear which is not exactly pliant but not back-breaking stiff either. Regular potholes and bumps will be ironed out easily enough. Oh! The one thing which we found to be a pain was the seat. A couple of hours on the saddle could possibly make your bum sore. We wish Honda had fitted a slightly softer seat on the X-Blade. The Honda X-Blade is priced at ₹ 79,059 and its chief rivals will be the newly launched TVS Apache RTR 160 (prices start from ₹ 81,490 and go up to ₹ 90,490), Bajaj Pulsar NS160 (prices start at ₹ 81,626 and the Suzuki Gixxer (prices start at ₹ 77,015 and go up to ₹ 80,929). The X-Blade also has rivals in its two siblings, the Honda Unicorn 160 for which prices starting at ₹ 74,618 and go up to ₹ 77,066. The other sibling rival is the Honda CB Hornet 160R which starts retailing at ₹ 85,234 and the price goes up to ₹ 93,234. 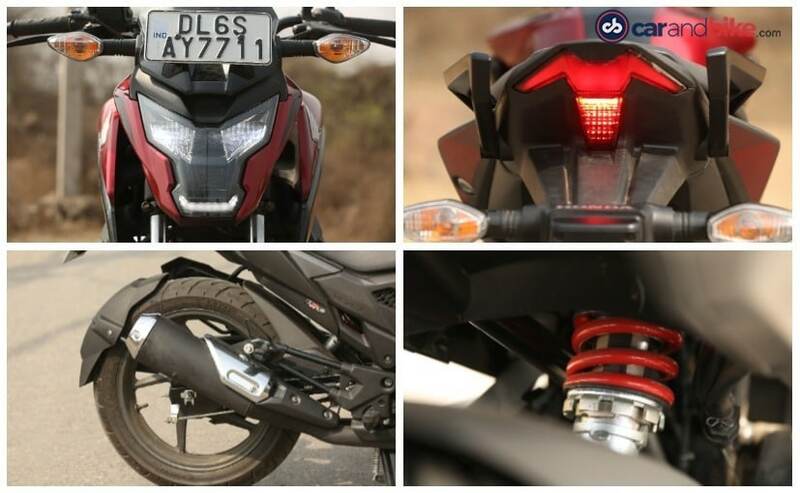 This shows that Honda has positioned the X-Blade right in between the Unicorn 160 and the CB Hornet 160R, thereby trying to cover all bases in the 150 cc - 160 cc segment. The story gets particularly interesting because for customers who have narrowed their choices to the X-Blade and the Hornet. Apart from the looks and the prices, there aren't many differences between the two. Sure, the engine specifications are a little different but in the real world, the difference in performance will be hardly perceptible. So which one would you choose and why? It all boils down to personal preferences about looks and the budget too. For the price, the X-Blade proves to be nice all-round commuter and scores high on looks and design. The LED headlamp and tail lamp are a welcome addition to the package. 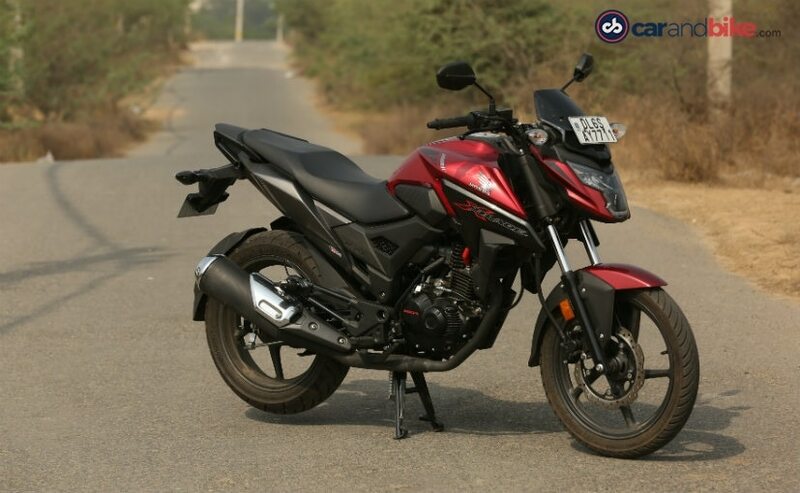 The 160 cc segment hasn't quite fired for Honda in the last few years and with the X-Blade, it looks to change the same. The good thing is that the X-Blade is a decently capable product and sure has the potential to get some good sales figures for Honda.